Instead of creating a good governance system, this practice is creating a bad and an aimless exercise burdening public exchequer, the CIC observed. In a significant order, Central Information Commission has held that, the offices of President, Vice President, Prime Minister, Governors, Lt Governors and Chief Ministers are not legally obliged under RTI Act to entertain RTI applications seeking information unrelated to it, or not held or controlled by these high offices. 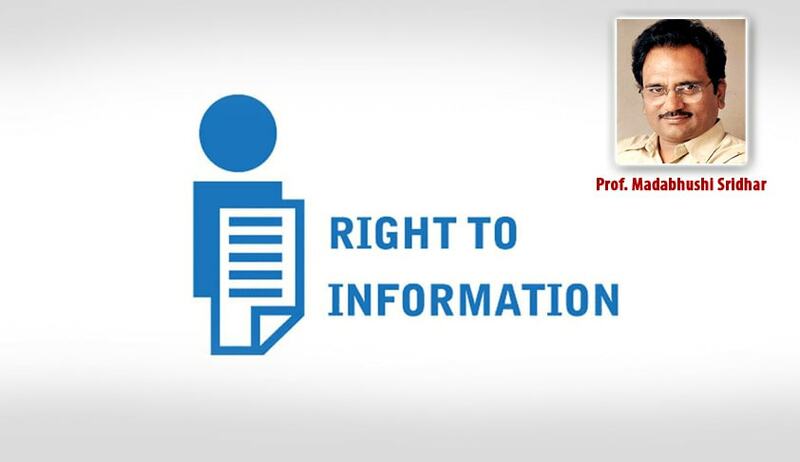 The Information Commissioner, Prof. M. Sridhar Acharyulu, also held that, when such Apex Executive offices create infrastructure to transfer such applicationsto concerned departments/authorities, they cannot be subjected to first and second appeals under RTI Act in such cases. The Commission made this observation while dismissing a Second Appeal filed by one R.S. Gupta against Lieutenant General Office. The applicant in this case, had filed an RTI application with L-G office seeking information regarding absorption of his services as PGT¬ English in any government school. This application was transferred u/s 6(3) of RTI Act, to the Directorate of Education, Delhi. He filed appeal which was dismissed. The commission has issued the following guidelines to deal with such RTI applications filed in Apex Executive bodies. The offices of President, Vice President, Prime Minister, Governors, Lt Governors and Chief Ministers are not legally obliged under RTI Act to entertain RTI applications seeking information unrelated to it, or not held or controlled by these high offices. RTI applicants do not have any right to information which is not held or controlled by these high offices. The CPIOs of these high offices will have an obligation to respond and inform action taken when the applicant made a complaint against a subordinate public authority, gains to whom it can exercise superior supervisory power and take action. Such application cannot be merely transferred to another public authority ignoring the fact thatcomplaintwasagainstpublicauthoritywheretheRTIpetitionwasbeing transferred. Iftheseofficesofapexexecutiveauthoritiescreateinfrastructuretohelpthese applicants at least by transferring their applications by email or by any other means convenient to them, they are welcome. But the CPIOs cannot be subjected to first and second appeals under RTI Act in such cases. The applicants who file such RTI applications by post shall intimate their email ids and mobile numbers, so that they can be intimated about transfer. Department of Personnel & Training (DoPT) may develop necessary guidelines in consultation with these high executive offices to tackle various kinds of RTI applications from literate, illiterate, ordinary or Below-Poverty-Line (BPL) applicants even though they are not seeking information relating to these offices, without causing the wastage of public money and time of public authorities. RTI applicants, who know that information is not available with such offices shall not file RTI applications with these apex authorities.